"Nov 2016: Honduras Los Ingertos, Cup of Excellence Lot #13"
Our November Coffee of the Month takes us to Honduras, the birthplace of a highly palatable coffee that wowed us all at the Campos cupping table. Best brewed as a long black, the Honduras Los Ingertos is loaded with unmistakable Christmas cake notes of dried fruit, raisin and cherry: the perfect coffee to lead us into the festive season! 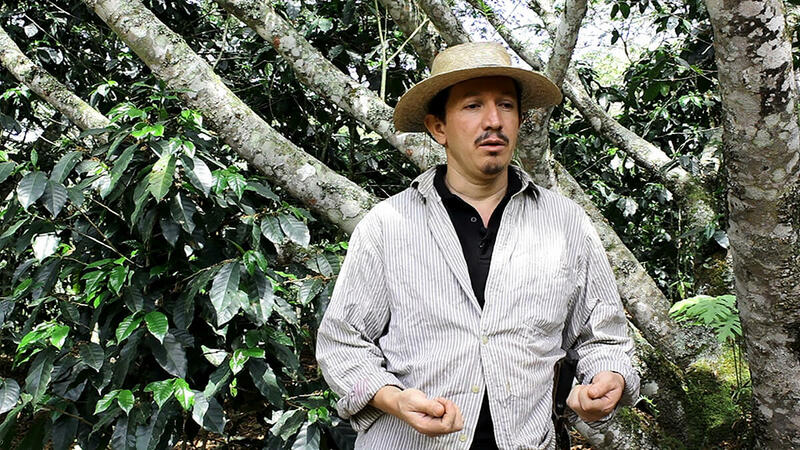 Farmer Dimas Antonio Claros Cardona has a persistent passion for excellent coffee. The coffee he cultivated on his farm, la Mongola, placed a respectable 13th in the Honduras Cup of Excellence competition. It was during our internal tasting sessions that it really shone through, soaring right up to our top three. 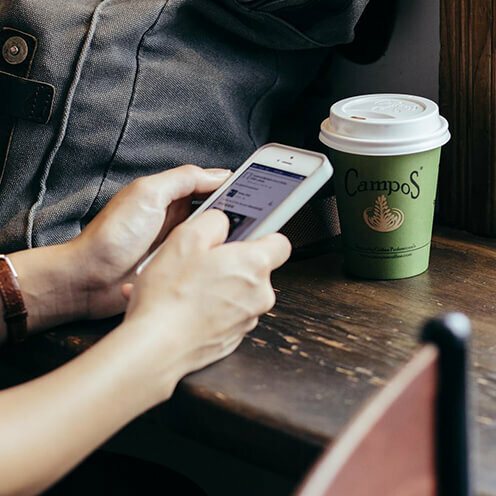 This is why we love the Cup of Excellence; it gives us the ability to discover and select coffees that really t the pro le we love and that we know our customers will too. Honduras is traditionally known for its mild and nutty coffees, but we are starting to see more and more exceptional micro-lots make an impact on the coffee world. It comes as no real surprise as Honduras has it all when it comes to producing specialty coffee: altitude, soil, climate and farmers, who are becoming increasingly better at agricultural practices. It’s an emerging specialty coffee region that is truly making its way up our chart of favourites here at Campos, as seen here with the Los Ingertos. We hope you enjoy it as much as we do! We’re a little star struck by our guest tasters for the Honduras Los Ingertos, our November Coffee of the Month. Bogart Torelli & Glenn Daniel arrived at Campos HQ straight off the airwaves of their hugely popular breakfast show on SmoothFM. With a painfully early 3am start time, it’s no surprise the two truly relish their morning cup of coffee. Born to Italian parents, Bogart was drinking “strong black Italian coffee with a squeeze of lemon” fairly early on. As a veteran of the breakfast radio industry, Glenn admits to once drinking up to 10 coffees per day to get him through those early mornings. These days he’s tamed his coffee drinking ways to just one at white per day. Bogart really gravitated to the “sweetness” and “homeliness” of the Los Ingertos. Describing it as smooth and earthy with notes of cherry, she would most likely drink it either “early in the morning” or “as an espresso martini”. Glenn loved the aftertaste of the coffee and described notes of raisins, sultanas and mixed currants, and would like to drink it “on a Sunday afternoon with friends”. Join the Reusable Cup Revolution!